At Christchurch Helicopters we’re passionate about protecting our environment. After all, this astoundingly beautiful country is what helps to make us, us. So we’re delighted to say we’ve teamed up with DOC to help conserve our unique local landscapes and wildlife – and one little bird in particular. Christchurch Helicopters is helping DOC in a number of ways. Not just fundraising through events and promotions but practical support too, helping DOC workers with transport to and from the areas where this beautiful little bird lives. 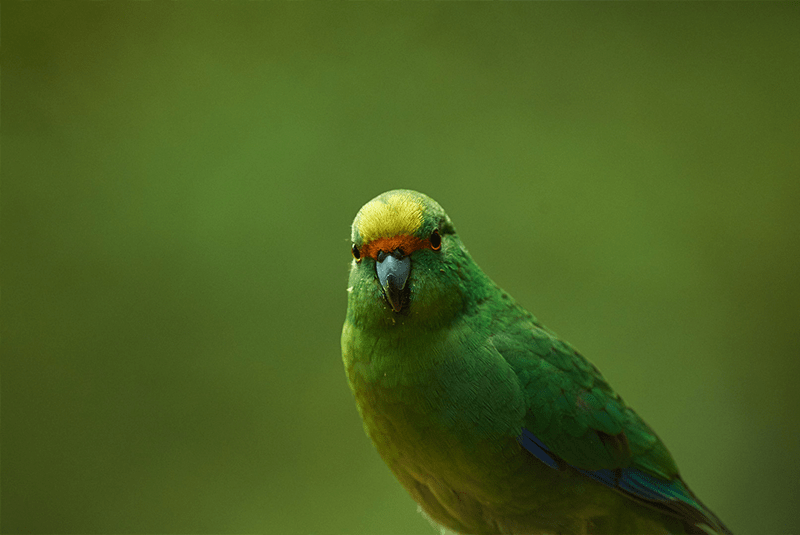 You might even see our special orange-fronted parakeet helicopter in the air en route! 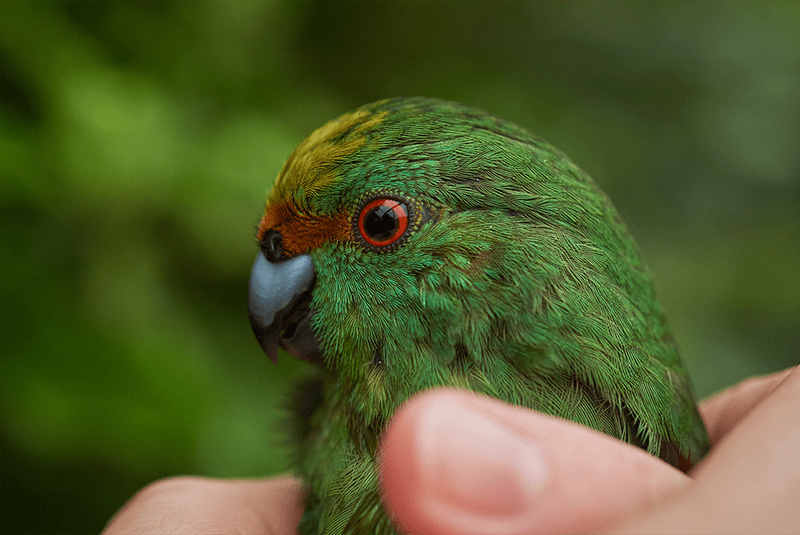 Christchurch Helicopters has partnered with the New Zealand National Parks & Conservation Foundation (NPCF) and the Department of Conservation to help save the endangered orange-fronted kakariki (parakeet). 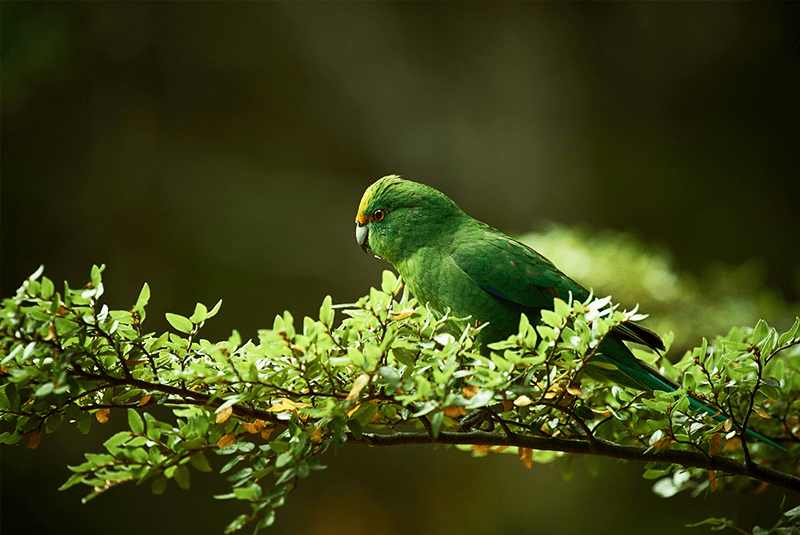 NPCF is a charitable trust that will hold the donated funds separately and provide donors with independent assurance that the funds raised will be applied to DOC’s orange-fronted kakariki recovery programme. 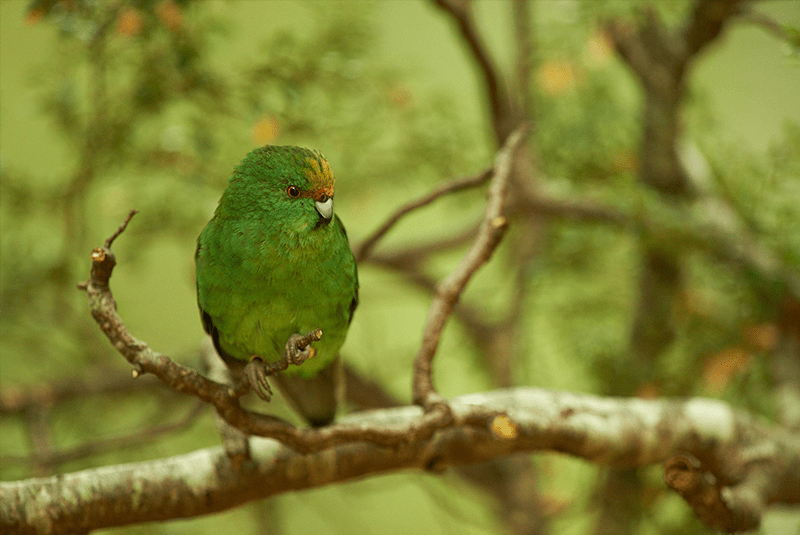 Orange-fronted parakeets, or kākāriki karaka, are the rarest parakeet in New Zealand. They are at risk of extinction, with only 200 – 400 birds left in the wild. 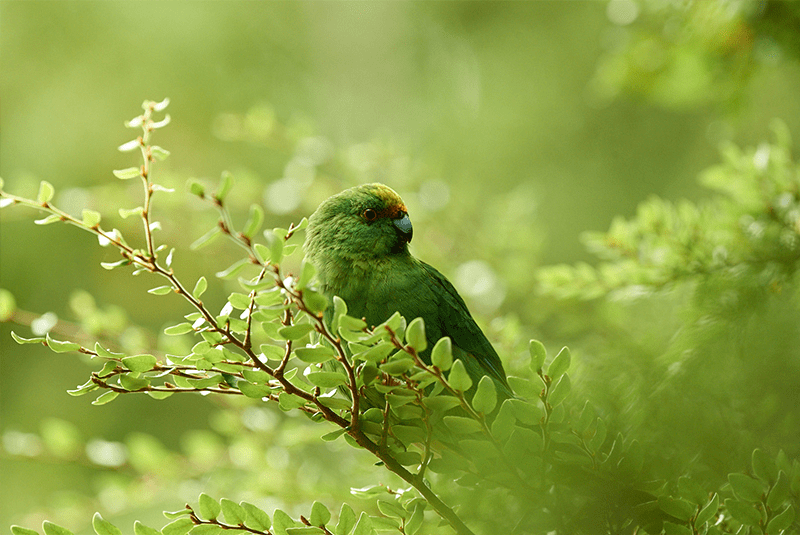 These beautiful, brightly-coloured birds were once found throughout New Zealand. Now, the four known remaining populations are all within a 30 km radius of each other. They are all alpine beech forests and valleys within Arthur’s Pass National Park and Lake Sumner Forest Park in Canterbury. 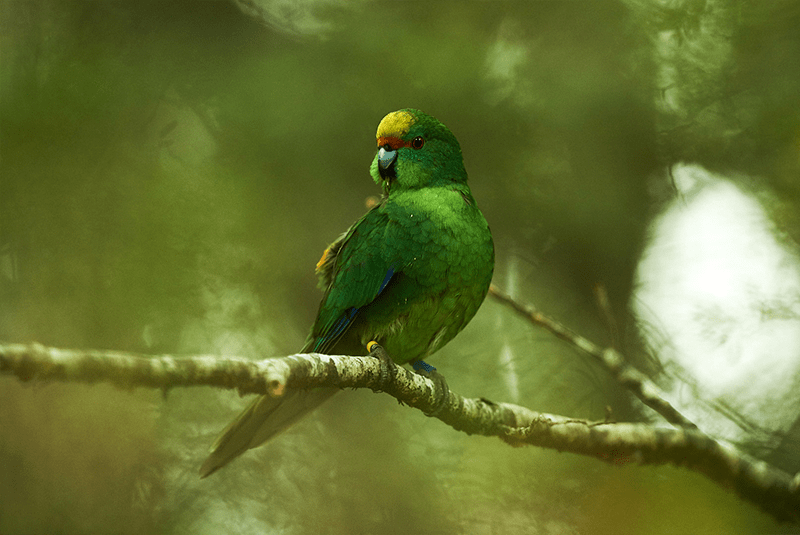 The Hawdon Valley in Arthur’s Pass is your best chance of spotting an orange-fronted parakeet in the wild. Introduced predators and habitat destruction are the main reason for decline. Stoats and rats are unfortunately excellent hunters, both on the ground and in trees. Parakeets nest and roost in tree holes, making them easy pickings. 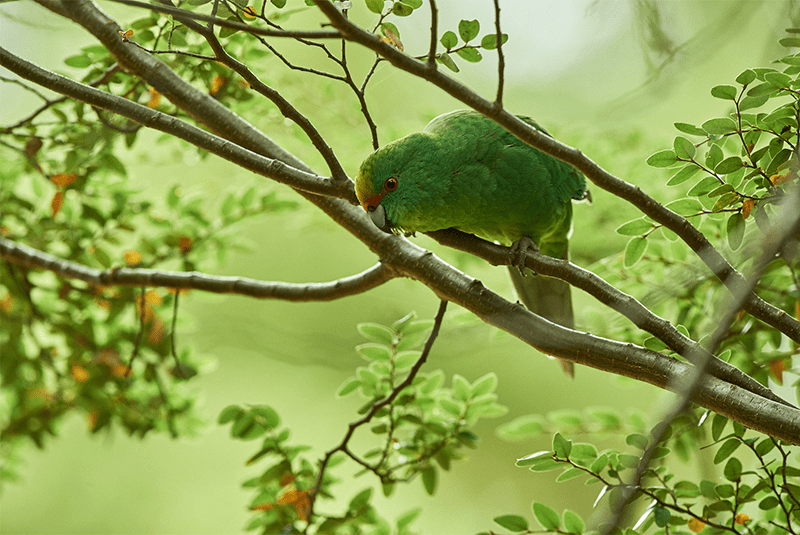 Nesting areas for parakeets have also decreased, as vast areas of native forest have been felled or burnt off by humans. DOC are closely monitoring all known populations, both on the mainland and on predator-free islands. An intensive pest-control programme is helping to reduce the numbers of rats, stoats and possums. A captive breeding programme was started in 2003, when eggs were taken from the wild and given to foster-parent birds to raise. 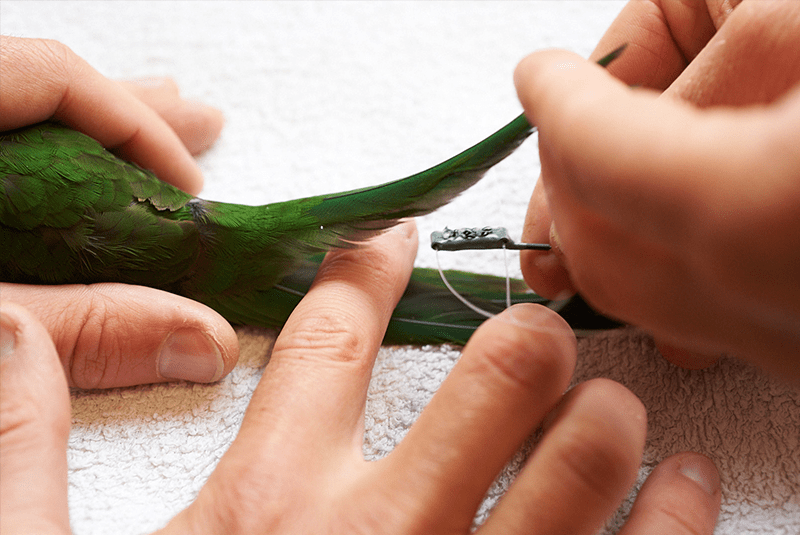 Over 230 captive birds have been translocated to four predator-free islands, helping to maintain genetic diversity in such a small population. Across our big backyard in Canterbury valleys and forests.